I Know Why You Don’t Have a Digital Strategy in Place. Should you have a defined digital strategy for your business? Absolutely. 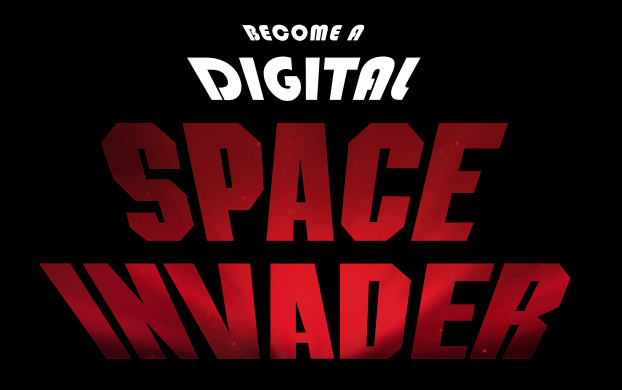 But you likely aren’t utilizing the digital space to its full potential, and you’re not alone. We’ve seen it time and time again as clients describe their current state of affairs, the goals they want to reach, and the myriad of ways they’ve tried to reach out to targets to get results. A robust digital marketing strategy is missing nearly every time… and it can help. Why do so few companies (relatively speaking) have a digital plan in place when there is a great opportunity to reach targeted prospects? These are the top reasons why that we have come across. Domain Authority. MOZ score. Backlinks. SEO. Title tags. Metadata. All the algorithms from Google to rank on their search engine. These are all very important to have a winning digital strategy, and a lot of small to medium-sized businesses that we work with have never had any experience with them. We like to start with a digital baseline to show clients their rankings compared to competitors and their opportunity for improvement. While they look at the low-ranking numbers with glazed-over (and sometimes teary) eyes something clicks and the understanding that something needs to change washes over them. The issue is they aren’t sure exactly what to do about it. We’re on a mission to educate businesses on how digital marketing can help them compete with bigger players in the market and grow. By creating more visibility for your site and optimizing it to help increase your ranking for search engines, you can drive more traffic to the top of your sales funnel. It’s not that scary, I promise. Check out our infographic to learn more about these digital terms and how they all relate. Now that you know you need a digital strategy, where do you start? It’s no surprise that when you start searching for options to get started that you’ll see an abundance of tools and companies that tout they will help you drive business and it can be overwhelming. Should you set up marketing automation? Have a search engine optimization, pay-per-click, and/or retargeting campaign? What changes do you need to make on your website to optimize for search engines? You need to have a holistic view and strategy for how to handle all these items (and more). If you drive more traffic with a pay-per-click campaign to a website that can’t convert leads into sales, then it really won’t help your business. The same goes for having a retargeting campaign in place if you don’t have any website traffic in the first place to bring back to it. Defining your digital strategy will help you work through each piece to reach your goals. Now you have a plan in place for your digital strategy. Guess what? Google changed the rules again, and the blog you just wrote now needs to have more words for long-tail content, and your mobile website speed needs to be faster to help your rankings. The landscape changes constantly with the rules that you need to follow to help optimize your tactics. A specialized partner can help you navigate the ever-changing waters. They can also help you stay on top of the technology curve by utilizing the latest innovations, such as AI, hypertargeting, and real-time personalization of content. Little focus on analytics and ROI. If you don’t know your cost per acquisition per tactic today, then it is hard to justify an additional spend for digital. If your current cost per acquisition on average is typically $200, then you can back into what digital performance would be needed. Maybe you are OK with a higher cost of $300 per acquisition to make sure you increase your numbers before quarter-end with a burst of a pay-per-click campaign. You may also find (for instance) that investing in organic search is yielding more opportunities than direct mail. The numbers can tell a story and help you tweak tactic spend for the optimal balance with ROI. Think you can’t compete with bigger players. “How could I ever spend enough to get ads over [insert goliath competitor].” You don’t have to spend the most; you need to find out where to allocate your resources. A content campaign with link building may boost your rankings enough for the keywords that resonate with your targets to win out over the big guys. When you dive deep and set your baseline, you can find opportunities that others may not be searching for. Maybe you don’t have a marketing team. Perhaps your team is a team of one. Adding digital is just another item that you need to address and another layer of complexity. It doesn’t have to be time-consuming. With the right partner that is fighting battles for you and testing messages and offers, you can sit back and view the results. Yes, there will likely be changes needed on your website to add content, optimizations to help with conversion rates, and so on, but the right partner (or partners) can help take care of those for you. Plus, with your now handy analytics, you can prove the ROI on that cost. Don’t have eCommerce, so there is nothing to drive traffic to. Even if you don’t have an online buy flow, prospects will still be verifying that you are a real company, looking at your products/services, and finding your contact information. If I can’t find a company online, I question their legitimacy. I especially question technology companies with websites that are not mobile responsive since they should be at the forefront of the industry. Your content can also establish your company as a thought leader in your industry. It all comes together to paint a picture of your company in your prospect’s eyes. You think your target isn’t looking online. Guess what? They are. There were 272 Million Internet users in the U.S. in 2017 and 81% of the U.S. population uses social media. Even if you are in an industry that is not typically thought of as “online” your prospects are still there. You want to be where they are and top of mind, so when they are ready to make that purchase decision, you are the call they make. I know digital is a scary place with lots of new terms and rules, but the moral of the story is you need a digital strategy to help compete in this continually changing landscape. Need help figuring this all out? Give us a call or stop by, we can help! Anyone can make a list, that’s easy. Ali’s methodical ability to prioritize and turn lists into action is unparalleled. If she asks you a question and you don’t have the answer…you will before she leaves your office. 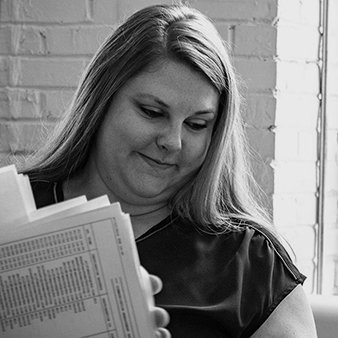 She manages our operations and finances; no task is too big…no detail too small. When you combine this with her marketing experience in digital strategy, branding, product launches, sales, and events, she’s got our clients covered (and thankfully us, too).